Brighton’s Allyson Geer-Park, a two-time Michigan Women’s Amateur champion and a star for Michigan State University, returned home from playing in the first Augusta National Women’s Amateur and called it a really cool and wonderful experience. Geer-Park missed the 36-hole cut in the historic 54-hole tournament with rounds of 74 and 76, and thus was limited to just a practice round on the Augusta National course on the Friday before the final round was played on the famous stage. “I did play 1-under through Amen Corner, and I birdied 13, which is every bit as beautiful as anyone can imagine,” she said. “I think that’s my favorite hole now, especially with the birdie. ... View this Post. It was a newspaper clipping encased in a plastic sleeve and found in a Michigan Golf Hall of Fame archives box. 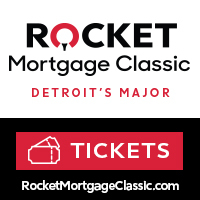 It was about Chuck Kocsis winning his first Michigan Amateur Championship at age 17 in 1930 at Belvedere Golf Club in Charlevoix, which made him the youngest winner of the championship at that time. 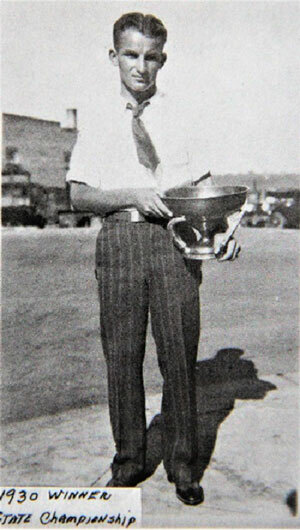 He remains the youngest winner, by the way, all these 89 years later. It was the first time the championship was presented at Belvedere, which would go on to be an annual host from 1963 to 1988 and has hosted the championship 40 times in all. Kocsis, one of three brothers who are in the Michigan Golf Hall of Fame, is heralded in history as Michigan’s version of golf legend Bobby Jones. On that day, just after his junior year at Redford High School, he topped James D. ... View this Post. Since the GAM announced in October that it was joining the ranks of some 79 other state and regional golf associations by adopting the USGA’s Golf Handicap and Information Network (GHIN) software system, we have had a lot of questions from our members. I wanted to take time today to answer some of the questions I’ve received from various members as I am certain many other members might also be looking for answers to those very same questions. The transfer to GHIN begins Jan. 1, 2018! Q: If I already have a GHIN number in another state, will I have the same GHIN number with GAM? A: Yes. ... View this Post. On a normal Course Rating day we raters evaluate golf course obstacles like trees, water hazards, OB, extreme rough and similar features that make a golf course unique. Ona recent adventure to Mackinac Island I was treated to a few new obstacles I have never seen or rated before. ... View this Post. Over the past couple of weeks, I have had the privilege of helping at some events that really emphasized the reasons I enjoy being part of amateur golf in Michigan. The GAM held its annual Caddie Championship at Walnut Creek Country Club in late July and I was on scoreboard duty. It was so much fun to see the teams come into the clubhouse after their rounds and gather around the scoreboard to see how they stacked up against the competition. ... View this Post. As I write this blog, more than 700 young golfers are registered for Youth on Course in the state of Michigan. We hope that this great, national program that allows its members to play golf for $5 or less at participating courses grows by leaps and bounds in the coming years. ... View this Post. There is an abundance of tournaments for junior golfers thanks to the many great organizations across Michigan and the United States who provide outstanding services to junior golfers and their families. What tournaments are right for my child? This is a very common question I receive from parents. ... View this Post. 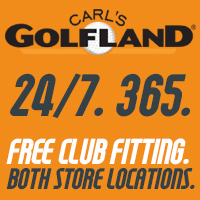 Did Someone Say Free Golf? If you’re like me, the only thing better than golfing with your friends, is golfing with your friends for free. Well, thanks to the GAM and some of our participating clubs across the state of Michigan, you and three of your friends will have that opportunity this season. Throughout the entire 2017 golf season, the GAM will be hosting a “Course of the Week” contest with the winner each week winning a free round of golf with carts for 4 people. How do I participate: All you need to do is visit gam.org and login with your username and password. Make sure you submit your best guess as you only get one guess per week. How do I win: Each week one photo from the selected course will be featured and all you need to do is correctly identify the course. ... View this Post. This year’s spring golf shows – West Michigan Golf Show and Michigan Golf Show - are in the books. 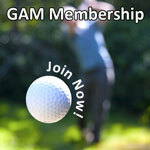 It is always great to interact with GAM members in person and hear their plans for the upcoming golf season. ... View this Post. With golf season just around the corner, it is a good time to set your goals for the 2017 season and beyond. This is a vital process in skill development and will challenge you to become the best golfer you can be. Before we get started setting our goals we need to understand the difference between process and outcome goals. ... View this Post.